The former deputy director of the State Council's Hong Kong and Macau Affairs Office wants a law that curbs free speech to block further protests and a possible repeat of the Occupy Central movement. In 2003, the Hong Kong government drafted security legislation that met with strong popular opposition. Hong Kong (AsiaNews) - Chen Zuoer, an adviser to Beijing on issues relating to Hong Kong, has revived the controversial idea of a national security law for the region since it is "the only place in China" without such legislation. 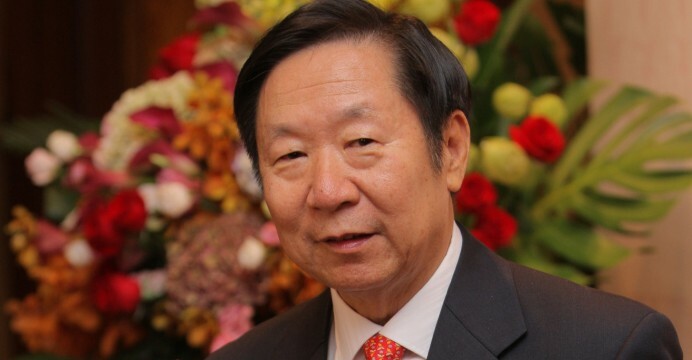 Chen was posted to the city in 1994 as a member of the preparatory committee for the transformation of Hong Kong into a Special Administrative Region (SAR) of China. After 1998, he became the deputy director of the State Council's Hong Kong and Macau Affairs Office. Now he heads the Chinese Association of Hong Kong and Macao Studies, a Beijing-based think-tank that fosters link between business and political interests. In an interview with Phoenix Television, he criticised Hong Kong and praised Macau for implementing the principle of "one country, two systems" in a more balanced way, especially by adopting a security bill similar to the one in the mainland, a law that is not in place in Hong Kong. Chen's comments come a few days after President Xi Jinping visited Macau, where he urged people there to understand the "true meaning" of the "one country, two systems" model. Although Xi was given every honour, a group young people organised a protest to demand full freedom and democracy for Macao. Many of them carried umbrellas, to make the same claims as Occupy Central protesters did in Hong Kong. Chen's remarks are meant to encourage Hong Kong authorities to adopt laws that prevent sedition, treason and subversion and limit protests only if they are authorised by police. Such legislation would likely prevent protests like those that took place recently. In 2003, the Hong Kong government tried to enact such a law, but was forced to drop it due to opposition by millions of people. According to Chen, a security bill would prevent a repeat of the two-month Occupy protests, when some parts of the city were occupied by pro-democracy protesters. During the months of occupation, several Chinese leaders accused the region's pro-democracy lawmakers of sedition and trying to cause the territory to break away from China. Occupy members have always said that they defend the principle of "one country, two systems", emphasising however the difference between Hong Kong's liberal system and the mainland's one party state.